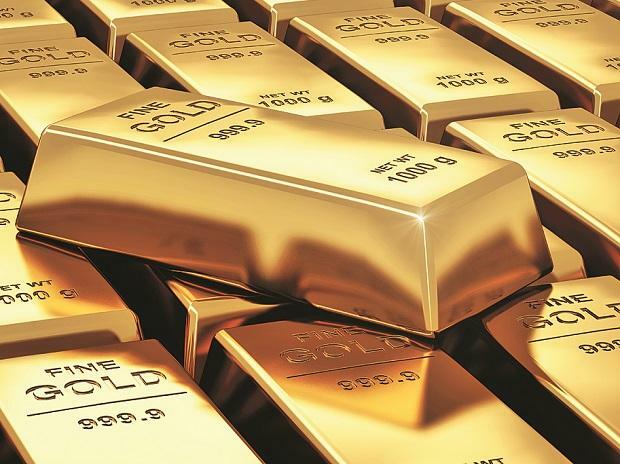 Open interest in gold futures has reached a five-and-a-half-year high on the Multi Commodity Exchange of India (MCX). Analysis of data shows bearish bets as the price of gold has remained steady at a high level. Some players are hedging bets in the options market too. The total market-wide open interest in gold futures is above 20,778 lots — the first time since July 2013. Prices of the precious metal in the spot market are also on the rise. On Friday, at Mumbai’s Zaveri Bazaar, standard gold closed at Rs 32,350 per 10 gram, near its fresh 5-year high seen on Wednesday. The consistent high prices have tempted bears to roll over positions, as they expect prices to moderate. Open interest indicates seriousness of participants in derivatives. It reflects positions that are not squared off and players hold positions paying margins, be it for hedging or speculating. Market observers said the high prices of gold were not sustainable in the long term. Even when the international gold prices moderated, the price in India remained high due to a fall in the rupee exchange rate and lower discounts. 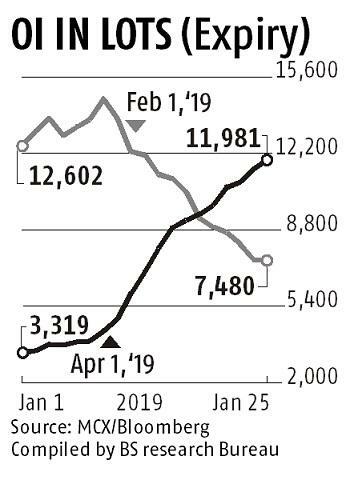 “Several traders were holding bearish bets and now they are also rolling that over to the April contract as the February contract is on the verge of expiry. They expect price to moderate,” said Naveen Mathur, director, currencies and commodities, Anand Rathi Shares and Securities. However, the top 10 bear and bull positions provided by the MCX suggests that bearish positions are almost 50 per cent higher than bullish positions. Some open positions may be squared off in coming days when the February contract expires. Even in puts and calls in the options segments, the put-call ratio is very high at 1.98, indicating that higher puts have been written. Open interest in puts is more than double that of call options. Put-writing is higher because traders write or sell puts and wait for expiry, which is on January 29. “What is important is how the options positions are rolled over to the next series. If gold prices rise, put writers will gain but put buyers will lose,” said Anuj Gupta, deputy vice-president, currencies and commodities, Angel.